Clarke knows what buttons to press, too (he has a book on the way), since fandom’s dudgeon was most certainly raised. I, for one, am flattered that a bunch of nerds in Spock-ears presented an equivalent danger to, say, the fanatical suicide-bombers who blew themselves up on the London Tube. Imagine the unspeakable carnage if they got all Prime Directive on people… but there is method in the apparent madness. It’s not clear exactly when the dossier was prepared, but Clarke suggests it was around 1997, after the suicide of 39 members of the Heaven’s Gate religious cult in San Diego. Heaven’s Gate’s use of terminology from Star Trek is widely reported; less well-known is the presence of stacks of anime VHS tapes at the site of their “Away Team” deaths. Heaven’s Gate were convinced that the world was shortly about to be “cleansed”, and humanity was going to be wiped away by the impact of some dreadful angelic apocalypse. Shortly before they drank a fatal mix of phenobarbitol and vodka, 39 people had been watching Neon Genesis Evangelion. I know this because the FBI wasted no time in tracking down the pedlars of such apocalyptic propaganda, and demanding they explain the plot to them. And, Evangelion being a tough one to describe at the best of times, ADV Films volunteered the services of the only person they thought could do the job. That would be me, at five in the morning in London, woken up by what at first I took to be a prank call. Jonathan Clements is the author of Anime: A History (UK/US). This article first appeared in NEO 139, 2015. 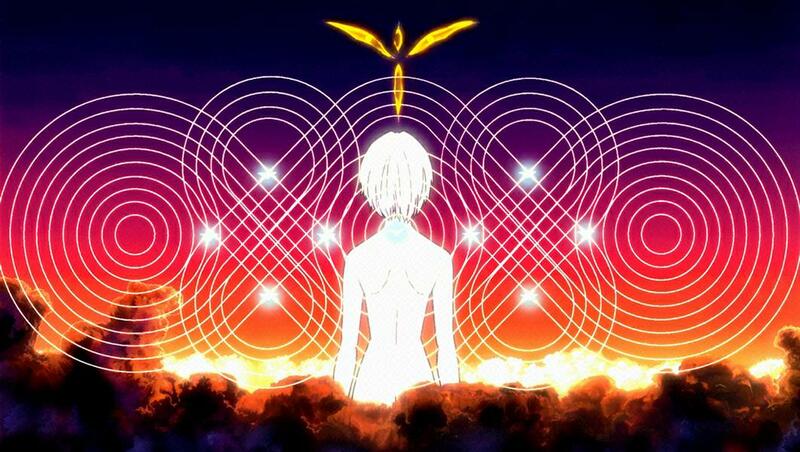 This entry was posted in News and tagged anime, cults, Evangelion, Heaven's Gate, Japan, religion by ixarette. Bookmark the permalink.